When you are getting round to putting things in to storage, you should be careful with what you are putting in there. Do not simply chuck everything that you don’t need in there, as this way you are paying to own things that you could potentially get rid of. Think carefully about when you will be needing in the future, and when you will realistically be taking it out of storage, as otherwise you may well be throwing money at a situation to avoid it, when you could just spend a couple of days selling it off and being done with it all! Have a think about the cost of the things that you are storing, as opposed to the price of the unit. If you are simply storing a few white goods and old tat, then leaving it in a £40 per month unit for six months will perhaps mean that you end up spending what you would do on replacing the units with second hand ones when you find that you need one again. Of course, if your things are worth keeping, then you may be in a position where you can sell them. This of course means that you could save that cash from selling everything, as well as the cash that you save from not using a storage unit, and put it towards nice new bits and pieces for when you need them. 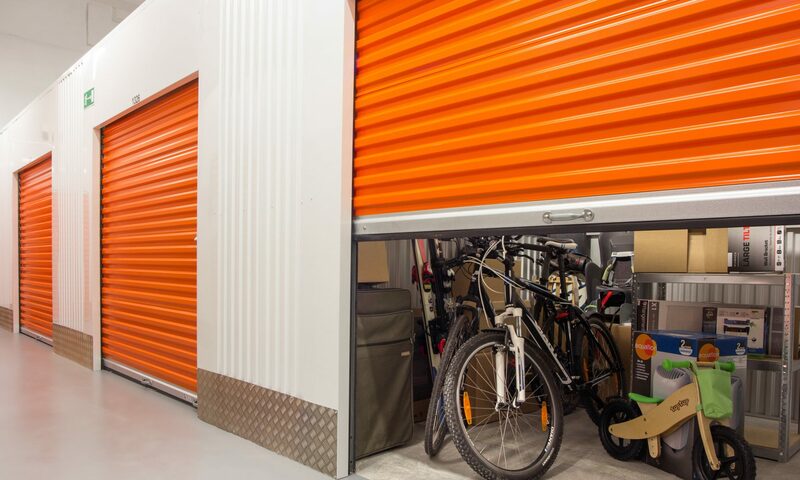 If you are looking at getting a storage unit in the long run, then you need to look at where you are going to have it. If you live in a city, you will perhaps find that storage units are rather expensive, due to the price of land space in such a built up area. Out in the countryside the space will be cheaper, but you may find that your travel costs negate the savings. It is worth sitting down and doing the maths. Remember to take into account the number of times you think you will realistically be visiting the unit to check on things. Consider fuel costs as opposed to unit savings and you will be well set to make a good decision. When working out the size of unit that you need, you should think carefully in order to avoid making a mistake. Turning up at the unit with too little space to fit everything will obviously be a problem. If you can, pile everything up against a corner of your garage or a room in the house, and measure a square line around it, multiplying the height, width and length of the virtual cube that you create. These figures multiplied will give you the volume that you need so that you can use it when looking for units, whether on the phone, or the internet. If you can, get a unit slightly larger than you need, so that you have a little space to maneuver things, as well as being able to add things if you need! There are bargains to be found in the storage world. You will find that if you have a little time to spare, then you can do some nosing around in the local ads or online. Farmers will sometimes rent out unused but secure barns for storage purposes, and others may rent out their disused garages, both at much cheaper rates than a regular storage unit would be. However, you need to be aware that some of these units will be susceptible to pests, damp and extreme temperature changes, which can be a nightmare for certain items. Previous PostPrevious Guest Post: Top Packing Tips!